This will cover a wide array of topics concerning the trading card industry. I have over 10 years of employment in the industry and over 20 years of collecting. I am by no means the expert. So today I was presented a product, it was a good product and I think it would sell. Only problem I have is that, we have some of the most creative minds working at the card companies. Yet all we get is the same thing over and over. Just dressed up a little different each time. Its almost crazy how much this industry hasn't changed!!! I know I just wrote that...as crazy as it sounds. So this is what I see day in and day out. There are numerous other things that I can put in here, there are also a few other things that I could put that have just happened recently. Unfortunately I dont see them being huge innovations to the trading card market. I wish someone would come up with an idea that I put in my blog 10 years from now....saying this has been done since 2009!!!! Unfortunately I dont see that yet. I want to get back to the innovations of the early 90's. So back to the product presented today...lets use the Chicago Cubs as an example. So I am selling a Chicago Cubs Mug it does well, so now I make a Chicago Bears Mug, it sells well so I make a Chicago Blackhawks Mug. NOTICE A THEME HERE???? Its always a mug! that is what has happened to trading cards. When will a manufacturer start using the creativity and make something different each time? Listening to Doug Gottlieb the other day got me thinking. With MLB trying to clean things up and the 30+ age guys having a hard time getting a contracts, we might be ready for a up tick in baseball trading cards again. WHY you ask? Here is my reasoning, with more emphasis on younger, cheaper players the rookie card will become more popular and it will go back to the days where collecting the rookie card was more important than a game-used or 1 of 10 auto card, hits per box, etc. During the so called steroid era younger players could not get the PT they needed or the opportunity because here you had all these players bucking mother nature and playing 5-15 years past their normal life cycle. With the minors much more stringent steroid testing they were not able to crack the big leagues like previous era's. When a 18-22 year old steroid free player is competing against a 30+ steroid/HGH induced guy with 10+ years of MLB experience it was never a fair competition. So I think that we will start seeing more of the Jordan Shafer, Colby Rasmus, etc. Which will be a great addition to trading cards. The economy will also help play a roll in revitalizing the baseball trading card. I believe that teams will begin putting a emphasis on their farm systems even more. See its much cheaper and lowers your payroll by having great younger players. So there will be more teams like the Twins, Royals, Rays, Marlins, etc. I think that middle tier will begin doing a couple things. One they will put more emphasis on their young players. Two they will sell off their veterans if they are not in the race by the trading deadline. Thus the Yankees, Red Sox, Cubs of the world will get the players they need without having to give back equal prospect value. Its easier to dump payroll than to generate more revenue. Thus the major market teams will be very strong. Which is better for trading cards. See as much as we like to see underdogs and Cinderella stories it never translates into better sales or ratings. Think I am wrong? Go back and look at TV ratings when you have two major market teams as compared to only one. Also look for some more great value items coming to your local Target! I think we have the strongest selection in years currently. I have been in hiding, left, whatever you want to call it. Not really, I just have been very busy with work and family. See its sort of warming up in Iowa and I have a lot of outdoor hobbies that occupy my time. Now that my son is 10 months old I have less time for those hobbies and when I have to get him to the batting cage, weight room, and he still needs to get his 100 free throws in that doesn't leave much time in the day to update my blog. Dont feel left out though, I will try and do much better. This week Target will be seeing the first 2009 NFL product to hit shelves...Press Pass! It came out very well. I am one that likes the college uniform pictures. Looks like Crabtree and the two QB's will get alot of cards prior to stepping on a NFL field. Since the KC Chiefs are my team I hope that they select Curry even though he is not a great trading card guy. We have Cassell and Bowe for that! Back to Press Pass...my initial thought is not a lot of cards but what you get is very good. Nice photos, good write ups, small set, short prints, achievable odds, a good product to kick off NFL. Now for baseball, nice to see Soriano taking a pitch once and a while! Little worried about Harden but he knows his arm better than anyone. Cubbies still have way too much money in the outfield for the production they are going to get. As far as trading cards, Topps still is good, Heritage is smoking off the charts, UD is holding its own. First Edition comes out this week and it looks good also. Maybe MLB will bounce back this year....I am very excited to see what happens with the license. Steven you know my prediction...lets place a friendly wager. Basketball....is it me or did that season just end Monday night? Its sure a shame to see NBA where it is. My trading card closet is almost 50% NBA with none of that much after 2002. Why? Why? Why? I think once Kwame was picked #1 I realized its time to give up. I really think we still have potential in the NBA so I am somewhat excited to see what Panini will do. So far not impressed. Nice to see everyone enjoying 50% off blasters...its a great thing to see some products move. I think its a great time to be a consumer these days! I look forward to more opportunities to do deliver outstanding values and products to new and old consumers! Well after the blow up over the Topps blasters, I took sometime away to reanalyze what to write about. If your looking for the shock and ahh...you are at the wrong place. I was recently reminded why this industry is lagging and no its not the economy. IF you think that is reason why I have over 10 million reasons from just last week to prove my point. In my absence there has been plenty to read and follow. One of the best blogs out there, www.thesportscardfile.com has been a buzz with the huge announcements and topics. Its amazing how large this blog has become in the industry in just a short time. When your sitting in a downtown office building in a major city and that blog is mentioned you know you have arrived. Steven you are the man! I was face to face with all manufacturers except one (guess!) this week. I have seen what is on the calendar for the rest of 2009. I am tired of the excuse economy, economy, economy that is why our industry is failing. Guess what your in the impulse business and not only that...people are passionate about your product. Remember I am in retail we dont have $600 packs...our packs cost less than value menu items at the Golden Arches. Which reminds me everyone should read McDonald's: Behind the Golden Arches. I beg you to find a toy cheaper than trading cards or TCG's. Even Bakugan is much more expensive than cards. Transformers will be the biggest toy item the second half of 2009 and you can get a blaster for the same price as most of the Transformers toys. So back to the rest of 2009, I think that we will see alot of good stuff and alot of bad stuff. WOW how accurate is that? See some people think outside the box in times like this and some just want to ride it out by offering the same old stuff just lower the price. Well guess what 3 cards for 2.99 didn't sell in 2008 so by making it 2 cards for 1.99 in 2009 doesn't get it done either. Lets do things that are totally out there! Do you think that everyone was in agreement Bakugan was a slam dunk? I mean come on its freak'n marbles that have been around since the 1800's. So after analyzing what I want to accomplish I will have to withhold certain information and realize that not everyone is allowed in the boardroom. I was also reminded why this industry is in such dis pare. I have a freak 9 month old son and I want this industry around for him. I love it and have for so many years. I mean do you know anyone that had their senior picture in high school taken with their baseball card collection? Someday I want him to be able to use his own collection and not mine! What are every one's thoughts on NFL products this year? What are you looking forward too? What are you curious about? First part of the NFL year it will be business as usual with Retail products that is. Press Pass will have an exclusive window from draft day to about three weeks afterwards. UD will have its 2nd year Draft Ed NFL and Topps has brought the biggest gun to the table with Bowman Draft Edition. Now I know what you are thinking, he thinks Topps with typical fake Letter patches that have been over produced and idea is great, execution terrible. Well I must defend myself on this part. Each one of the manufacturers tries to beat the competitor to shelf....which makes sense, who wants to be second or risk consumer dollars being spent? So without the leagues dictating release schedules we are stuck with what we have. So Press Pass will be pretty traditional but with added content (SEE love given in photo). UD Draft is a product I like because of the NFL Draft artwork, concept but it has some flaws. Topps went away from Draft Picks and Prospects last year with Rookie Progression. Which I thought was a huge mistake, if you dont have to fix something then why not just improve it? Rookie Progression might have been in my opinion the worst looking cards I have seen since the Kmart Topps MLB sets. So why am I on the bandwagon now? 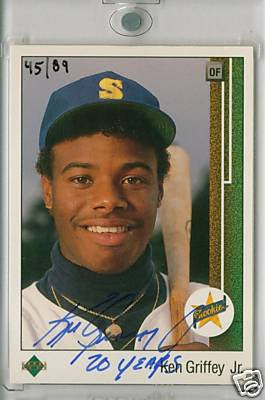 For one the Name Bowman has some relevance in that Bowman is home of the Rookie Card....well that is the slogan anyway. Now to most collectors we know that is not always the case, to the casual fan that what you see is what you get. I like the fact that they released Rookie Progression needed to go bye-bye. I dont think the actual Draft is shaping up to be a great Trading Card draft. We need more skill position players drafted high, although 2006 doesn't seem to be that great afterall. I think next year looks better but think we are about 2-3 years away from another deemed a great class. For these early products the key is to have a very late rounder to undrafted person become Brady. Which in turns make the following years products stronger ie David Price in MLB this year. Amazing what happens when you have a couple good games at the appropriate time. Also this weekend I will be releasing the information on the black boarder Walmart cards, etc. Getting cards in my hands??? I have been keeping up with a number of blogs regarding 2009 MLB products. It seems that there are some pockets of the country where product is missing. It is very disturbing to me because this is my livelihood. Its not always a case where product is not there either. Nine times out of ten when I do the research product is in the store its just not on shelf. Therefore it sits in the backroom, closets, locked offices etc. at retailers. Unfortunately this is one of the largest expenses in the business is to have account managers go and place the product on shelf. Typically each distributor has service people go into each store each week and place product to a plan-o-gram and return old product. This means that if I service a store on Monday morning and product comes in Monday afternoon the product could sit in the backroom until I come back the next week. As the economy worsens the easiest way to cut cost at retail is to cut payroll hours. Which means there are less people to put products on shelf, less time to zone or organize shelves, more dependant on these service people, etc. Not to mention that the trading card section is so overwhelming to people that don't know the product. Our system is designed to replace everything that sells, 1 for 1. There are many variables that go into it though. First off we dont always know how well a product is going to sell. IF we did I wouldn't be working here, I would be drinking Coronas and fishing in Belize! 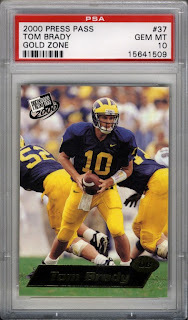 We have years of sales history but did we know 2008 Topps was going to be a stinker? 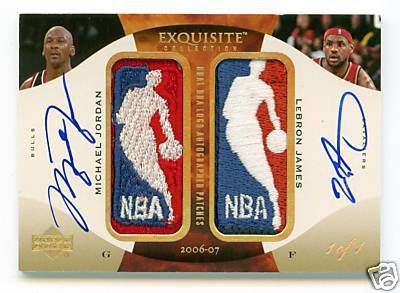 No, did we know that 2009 Topps was going to do so well? Somewhat but we didn't know to this degree. If you let me know what store you are constantly not seeing product I will do what I can. No promises but I will do what I can. By the way I added my first picture....I will put up some cards that I think are no brainers. Search High...Search Low...part 2 The End. So why doesn't the retail store personnel stop pack searchers? For one its usually a high school kid or college kid working the registers. Do you really think they care about the person over by cards running his finger across the back and sides of all those packs? So you think its the Assets Protection persons job then...well technically they are not stealing or doing anything wrong. How many customers come in and feel the tomatoes, apples, etc and pick out the best one. What is really the difference? Not to mention you really think managers are going to kick people out of their stores? Why doesn't the manufacturer do something to stop it? First off that takes money and no one wants to spend it. They only have so much to spend to make each pack and therefore every deterrent would result in lost content. The industry tried a drastic move last year by blistering all cards and it failed. Well in some eyes it failed! Not to mention it sort of made the searching worse because people would actually damage the cards while trying to search. What about a those info cards they put in packs? Well those are printed on very low stock paper therefore cost is minimal and most of them are marketing for future products, license agreement issues, etc. For the most part the PS'rs will always be around. It's sort of like baseball players today....do your really think its 100% steroid free now? The cheaters will always find a way around the system. PS'rs will be around forever all we can do is limited it as much as we can. WOW in these two posts I talked out both sides of my mouth! For the record I can not stand Ps'rs and will always look at them as hurting the hobby. On a side note...come on Chiefs get Cassell in here, don't waste the pick on a unproven college QB!